Today, more realistic animations for creatures in your Minecraft. Comes back to life: Better Animations Collection Revived 1.10 and 1.10.2 which aims to add your game more realistic animation reworking some of the in-game mobs, with a more detailed and subtle effects that will put a smile on your face. These are some of the creatures you’ll find with improved animations: Ghasts, Bad Wolfs, Ocelots, Slimes, Magma Cubes, Kine, Creepers, Spiders, Enderman, Squids and Sheep. With this mod, for example, move cats move tail and pigs the nose, when moving the head. The creepers stagger when they come to you with truly altered movements that make it even more creepy. These are small details that make Minecraft world a little more realistic. It’s definitely a mod very easy to use and install which will improve many of the features of your game. You can see in this video, but keep in mind that it is recorded in version 1.0, so that, short of some of the new features in later versions. 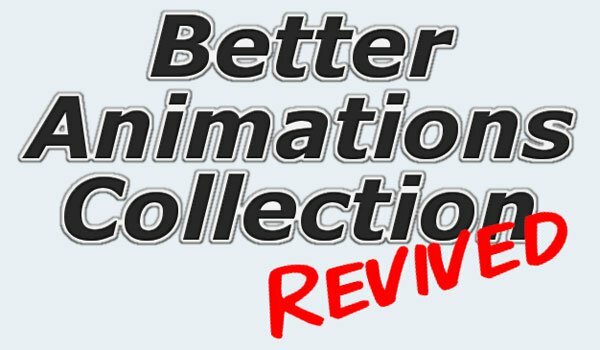 How to install Better Animations Collection Revived Mod for Minecraft 1.10 and 1.10.2? New animations for mobs and animals in Minecraft!